Burial, Cremation or Aquamation - which is greener? 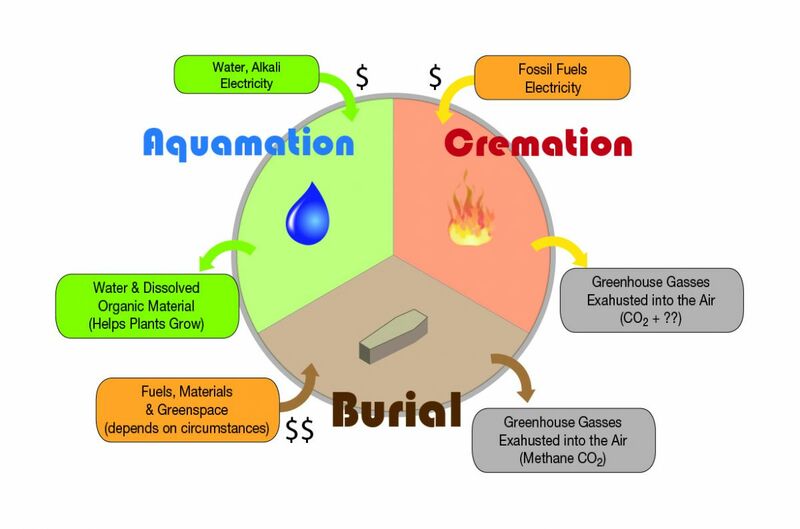 took into account burial, cremation, cryomation and Aquamation (referred to as resomation in the report) and the results indicate that the funeral option with the highest negative impact on the environment was burial and the lowest impact was Aquamation. No matter which technology one uses, there´s ultimately no “pretty” way to go. However, helping a loved one protect the lives of future generations by choosing the 'green' option seems like a pretty dignified send-off. Aquamation is the responsible choice when honouring your beloved companion.